Teen Mom 2 star Jenelle Eason is recovering after being hospitalized over the weekend. The reality star posted videos from her hospital room after suggesting on Twitter and Facebook that she was having a tubal ligation. “And just like that her tubes were tied and she didn’t want anymore babies…” Jenelle wrote, along with an 👌🏼 OK emoji. 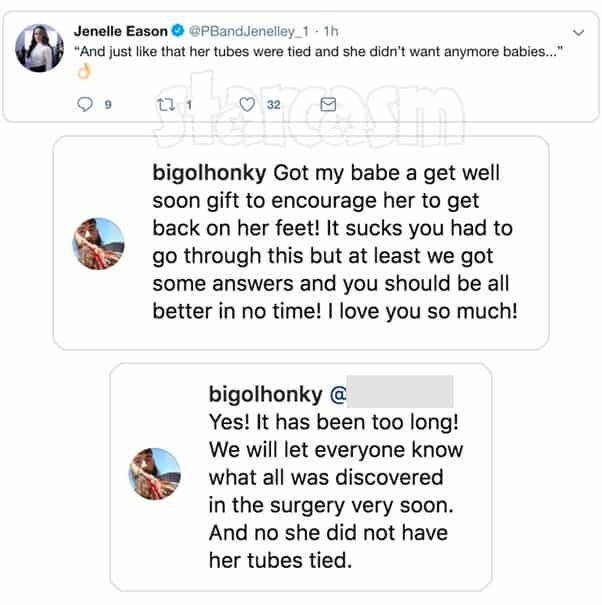 Jenelle’s rep later confirmed to Us Weekly that she did have her tubes tied. Actually, she reportedly had one tube tied and an ovary removed. The rep told the site that Jenelle had cysts on her ovaries and polyps on her uterus. Doctors removed her left ovary while the right fallopian tube was tied. 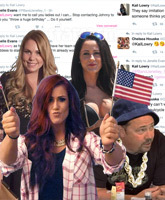 The rep says that the polyps from Jenelle’s uterus were sent off to the lab for testing. Jenelle has been complaining of stomach issues for a while now, including during the Teen Mom 2 Reunion taping in New York City last weekend. Her husband David Eason expressed his relief at finally getting a diagnosis for what was causing the discomfort on Instagram. 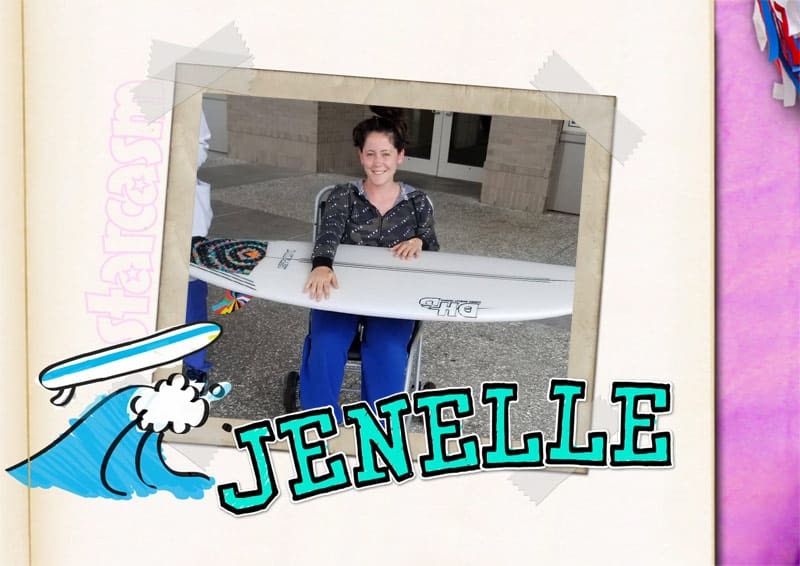 The message accompanied a photo of Jenelle outside the hospital sitting in a wheelchair and holding a surfboard — which was David’s “get well soon gift” to her. It’s unclear what the confusion is here. 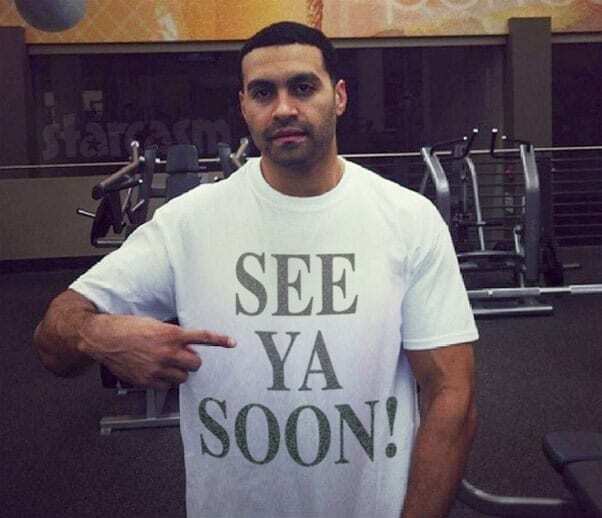 Perhaps the doctors used “talking words” (like tubal ligation) that confused David?